Food Hygiene Ratings - SMARTMENU - Your local Restaurant & Takeaway Menu online. The scheme runs in England, Wales and Northern Ireland by local authorities in partnership with the Food Standards Agency. Local authorities are responsible for carrying out inspections of food businesses to check that they meet the requirements of food hygiene law. 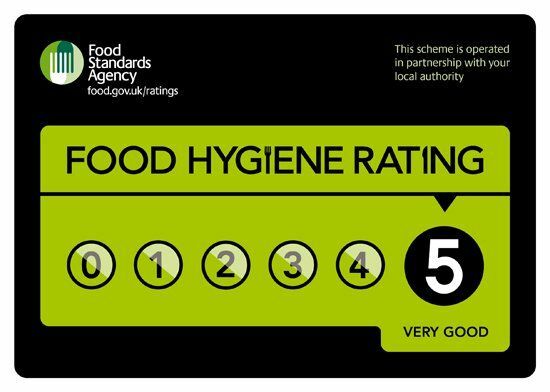 They give businesses food hygiene ratings based on the findings of inspections and then publish this information on the Food Standards Agency's website. The Food Standards Agency is the UK government department responsible for food safety. It gives local authorities advice, training, and other support to help them run the scheme.